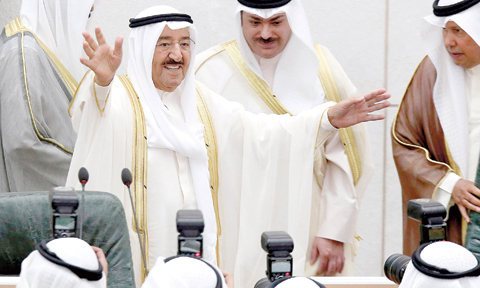 KUWAIT: HH the Amir Sheikh Sabah Al-Ahmad Al-Sabah yesterday called on the government and the National Assembly to take urgent austerity measures to cut spending and boost non-oil revenues after a slump in oil prices resulted in Kuwait losing 60 percent of its revenues. The Amir also urged the nation to unite to confront the threat of terrorism which struck the country when a suicide bomber blew himself up in the Imam Al-Sadeq Mosque in June, killing 26 people and wounding 227 others. 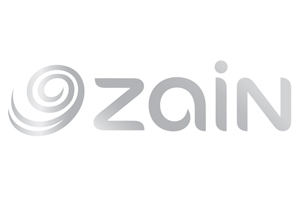 Addressing the opening ceremony of the new parliamentary term, the Amir said that although revenues dropped sharply, public spending, especially on items without returns, has continued without any reduction. The Amir also called on the Kuwaiti people to understand the aims of economic reforms, but insisted that any reforms should not hurt low-income people. Over the past 16 fiscal years, oil revenues contributed close to 94-95 percent of public revenues and this contribution is forecast to slide by around 60 percent because of the drop in oil prices since June 2014. Kuwait is projecting a deficit of KD 7 billion before calculating the 10 percent deduction in favor of the future generations fund. The Amir urged the government and the Assembly to set an example by reducing spending and stopping squandering of public funds. The Amir recalled the terrorist attack on the Shiite mosque in Ramadan, describing it a flagrant crime which was executed without mercy toward the worshippers who were kneeling in prayers. “However, the solidarity of our people foiled the plot against us and manifested the most wonderful picture of national unity,” the Amir said. Sheikh Sabah stressed that homeland security and the citizens’ safety “should be our top priority”. To safeguard national unity “we will never allow seditions and spread of hatred or fomenting hateful sectarianism or exploiting tribal, racial or class strifes,” Sheikh Sabah said. Kuwait’s security is an integral part of the Gulf Cooperation Council (GCC) security and a “threat to any GCC member is also a threat to Kuwait’s security,” the Amir said. The Amir praised and declared the country’s support for the Saudi-led campaign in Yemen for protecting the security of Saudi Arabia and legitimacy in Yemen. Assembly speaker Marzouk Al-Ghanem called on the Kuwaiti people to unite around the country’s leadership saying that through unity and cooperation with the leadership, Kuwaitis have managed to defeat terrorism. Through national unity, Kuwaiti people will foil any attempt by terror groups to infiltrate into the country, the speaker said. The speaker also praised the Kuwaiti people’s reaction in denouncing all acts and attempts to spread fear in the country, affirming that the Kuwaiti people will defeat terror. 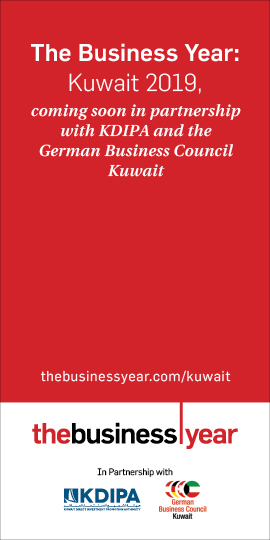 Ghanem praised the achievements of the current Assembly, saying it has proved to be the most successful in the history of parliaments in Kuwait. He said the Assembly has endorsed 49 legislations in many fields. Prime Minister Sheikh Jaber Al-Mubarak Al-Sabah reaffirmed that the government will not tolerate any attempt to undermine internal security and called for the need to implement austerity measures to cut spending. “Our national unity is a shield against anyone attempting to undermine the security of this society, while security forces will deal with all possibilities,” the premier said. He said the government, in its quest to fighting and eliminating terrorism, started activation of a number of “important laws” like the DNA testing, installation of surveillance cameras and collection of unlicensed weapons. The prime minister said that maintaining the level of social prosperity requires increasing efforts, cutting spending and properly investing resources. He said reforms requires the cooperation of the people to achieve the goals of the development plan, adding that 80 percent of last year’s development plan objectives were achieved, up from 56 percent in the previous year. After the opening ceremony, the Assembly elected MP Adel Al-Khorafi as the Assembly secretary and MP Abdullah Al-Tameemi as its supervisor. Later, the Assembly began debating a grilling against Minister of Social Affairs and Labor and State Minister for Development and Planning Hind Al-Subaih over alleged administrative and financial irregularities. The grilling debate however ended without filing a no-confidence motion as the Assembly approved a number of non-binding recommendations for the minister to rectify alleged violations within three months. MP Mohammad Tana, who filed the request, accused the minister of committing a large number of violations at several departments under the ministry. He said she appointed a new head of the authority for the disabled although he is facing a trial for sexual harassment, because he is from her group. He also charged that a large number of expatriates have been appointed in the authority to the extent that the percentage of Kuwaiti employees dropped from 90 percent to 80 percent. Tana mentioned names of several expatriates he claimed have been appointed in the authority in violation of the law, although they are not qualified for the jobs. The lawmaker also claimed that the new director of the manpower authority was appointed to the post although he was away from his job in the ministry since 2000. He also accused the minister of appointing a large number of her relatives and for awarding contracts to companies owned by her relatives. Tana charged that the Islamic Islah Society, affiliated to the Muslim Brotherhood, has been sending charity funds to terrorists in Syria. Tana also spoke about alleged violations at cooperative societies and the ministry’s care homes. But Subaih categorically denied the allegations, saying that most of the accusations are without any proof or unfounded fabrications. She defended the appointments she made and also said she has carried out a large number of reforms in the ministry, firing three assistant undersecretaries for violations. The minister also defended her policies at the manpower authority and the actions she had already cracked down on visa traders, saying she has referred a large number of suspects to court. Subaih challenged Tana to provide any evidence of the allegations that her appointments at the authority for the disabled caused a loss of KD 50 million. The grilling was unprecedented in Kuwait’s 53 years of parliamentary life, since it was submitted before the term opened for the first time ever and was debated on the opening day of the new term, also for the first time ever. Following the grilling debate, the Assembly began the election of its permanent committees.